The Pound Euro (GBP/EUR) exchange rate rose today and is currently trading around €1.1662 on the inter-bank market. Sterling (GBP) gained on the Euro (EUR) today following the former Foreign Secretary, Boris Johnson, declaring his support for Prime Minister Theresa May’s Brexit deal ahead of today’s important parliamentary vote on the withdrawal agreement. Liam Fox, the Tory Secretary of State for International Trade, has also urged MPs to back Theresa May’s deal, saying that a ‘chasm of distrust’ would undermine faith in British politics. Any signs that May’s deal will be successful will mean that the UK will leave the EU on the 22 May this year. However, many Pound traders are remaining cautious as May now has a track record of her deal failing to gain MP’s confidence. Today, meanwhile, saw the publication of the UK GDP figures for the fourth-quarter which held steady at 0.2%. The year-on-year figures, however, increased above expectation at 1.4%. The Euro, meanwhile, suffered following the release of the French consumer spending figures for February, which fell below expectation to -0.4%. The single currency, however, failed to benefit from decreasing German unemployment figures. EUR has held on to some of its gains following the publication of the Spanish GDP figures for the fourth-quarter, which increased to 2.3% – although this fell below the expected 2.4%. 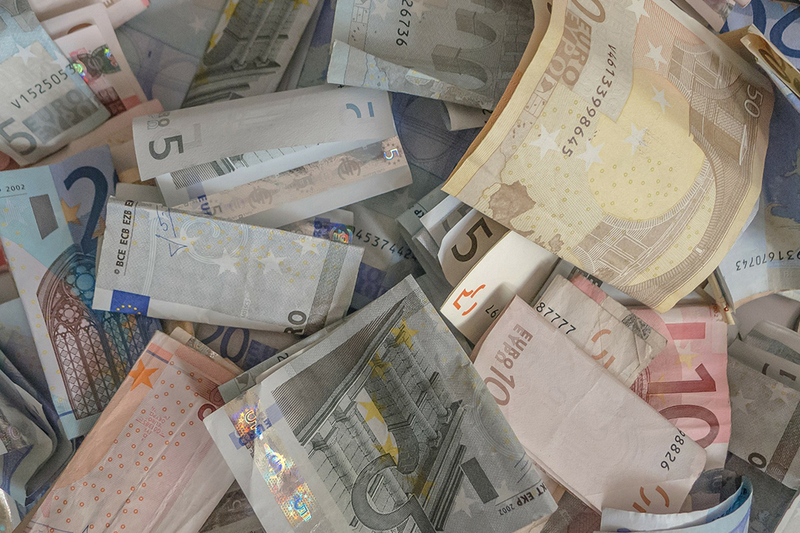 Market confidence in the Euro has begun to slip following the Head of the International Monetary Fund (IMF), Christine Lagarde, saying that the Eurozone’s economy was ‘not resilient enough’ for a possible financial crisis. Euro traders will be looking ahead to Monday which will see the publication of the Eurozone’s CPI figures for March. Any signs of an increase could prove positive for the single currency. Pound traders, will be awaiting Monday’s release of the UK Markit Manufacturing PMI figures for March, which are expected to come in around 51.3. The GBP/EUR exchange rate, however, will remain fixated on Brexit developments in the weeks going ahead. The Pound could benefit from any signs that Theresa May’s Brexit deal will successfully be voted through Parliament.